Isn’t springtime wonderful? Here in Colorado we have a very spring-like 70-75 degree day and then the next minute it’s back down in the 30s and snowing. What gives? But the warm days are more and more frequent and it’s becoming apparent that spring is on its way! I’ve been trying to figure out my spring mantel this year but in the mean time I decided to make a sweet little free spring printable for you (and myself, of course!) 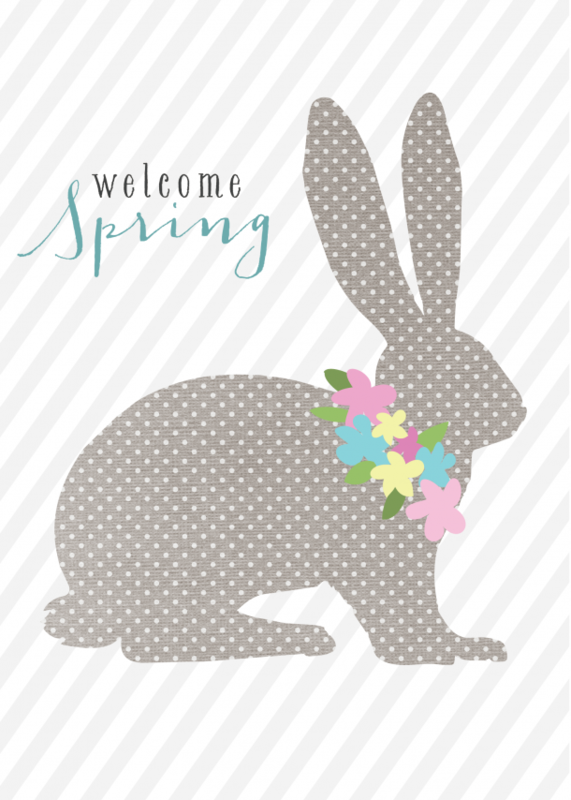 for us all to welcome spring this year. I’ve been taking a course on Adobe Illustrator from Emily at Jones Design Company and this is my first artwork I’ve made using AI. I have to say, I’m in love with the program! I was very intimidated by it before but Emily broke it down into very basic and understandable parts. I highly recommend the course if you’ve ever wanted to try your hand at Illustrator! 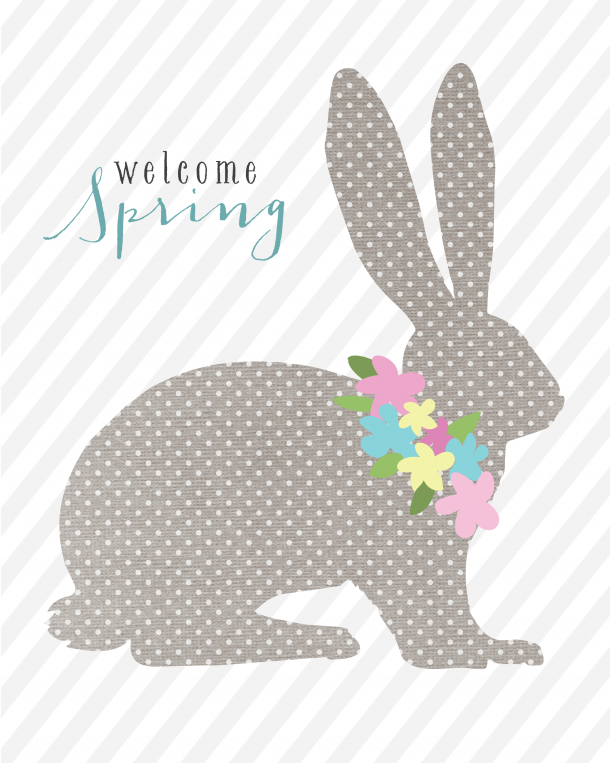 You can download this sweet bunny (without the watermark) HERE for an 8×10 and HERE for a 5×7. Display it in your home for a touch of springtime! This is so cute. Great job! I love this! Thanks so much for sharing these. I love all your printables and Sunday inspirations! Wow! Love it! Awesome first try! Can’t wait to see what you do in the future. very, very cute! Please tell me how to print this at home? On card stock? Yes! You can print it out on cardstock or have it printed at your local photo lab (I use Costco, but make sure to uncheck the “color correct” box when ordering). Creative use of color and font. THANKS!